VIdeostroboscopy of the larynx is utilized to assess vocal fold function, motion and structure. It can be utilized to diagnose voice problems such as hoarseness, vocal strain due to excessive vocal abuse, misuse, growths, acid reflux or muscle tension dysphonia. Provides a working knowledge of this diagnostic voice procedure. Appropriate for Speech-Language Pathologists, and Otolaryngologists. The Four-Day clinical training program can be held on-site at your location, with your own equipment. Videostroboscopy is an excellent add-on procedure. If you are looking to add a voice repertoire, to your swallow clinical practice, videostroboscopy is an excellent add-on clinical diagnostic procedure. 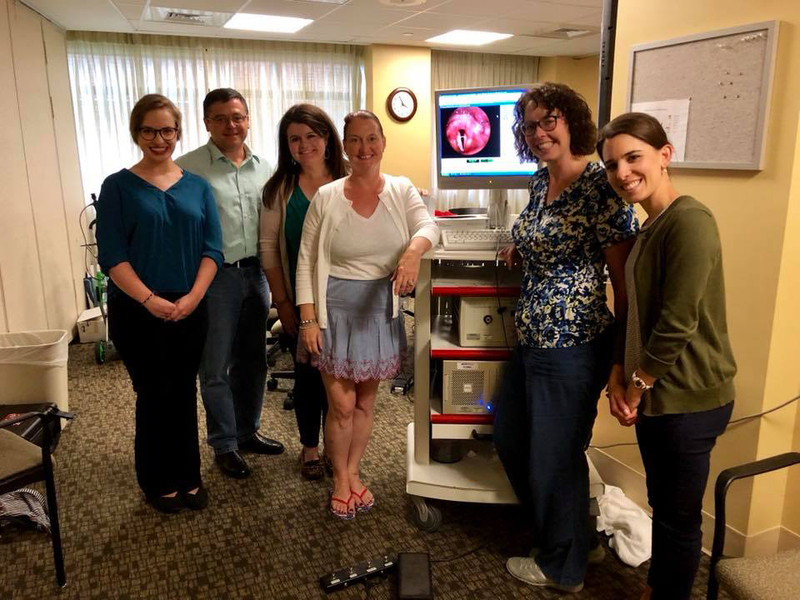 Gaining hands-on knowledge of actual videostroboscopy technique and equipment. This is typically a Four-Day course offering 1.55 ASHA CEU’s for the first Two-Day didactic portion.